Sat Jan 07 2012, 08:33a.m. 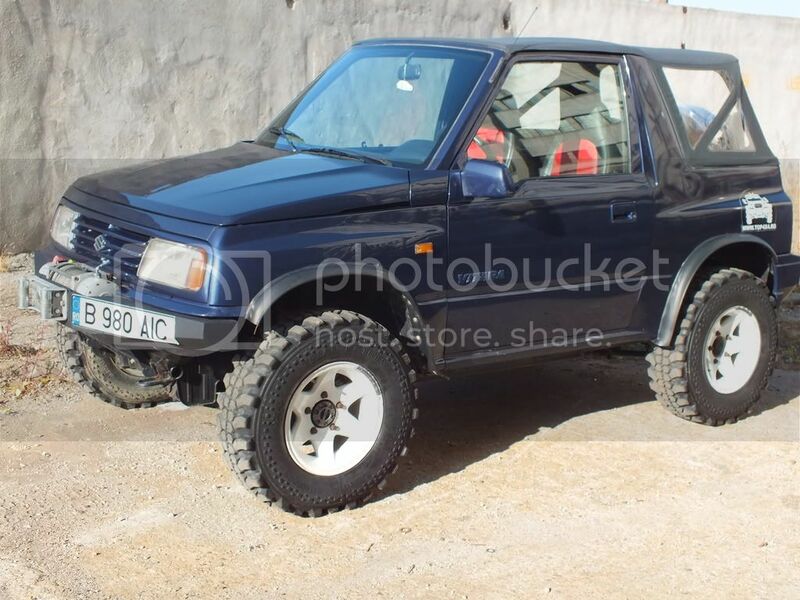 I have just bought a 95 Vitara with a 1.6 8v engine, and a few modifications. Nice to see that Iceland also has a nice Suzuki community, with a lot of great looking cars. Also, is there a site for second hand cars from Iceland? 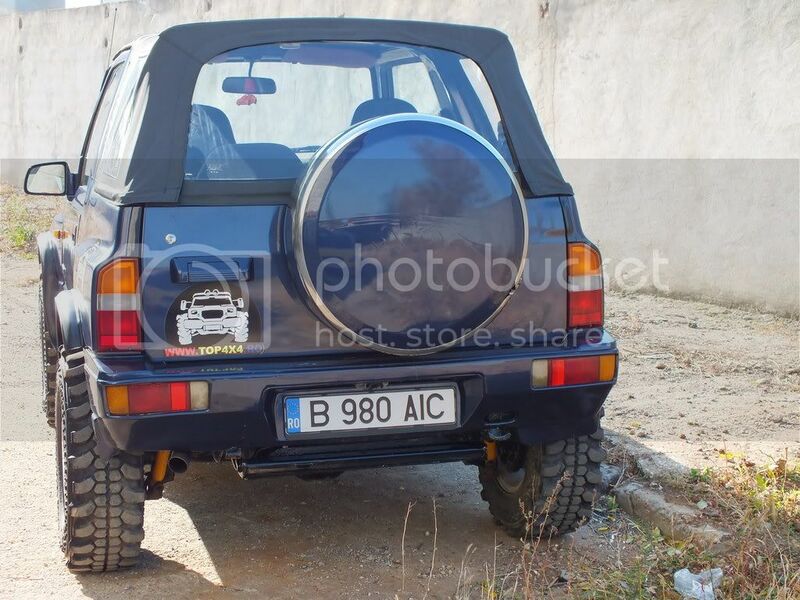 Unfortunately it is very hard to understand the forum and I would like to get some inspiration from pictures of modified cars. Sat Jan 07 2012, 11:15a.m. Myndir means Pictures and Hittingar means tours and meetings. 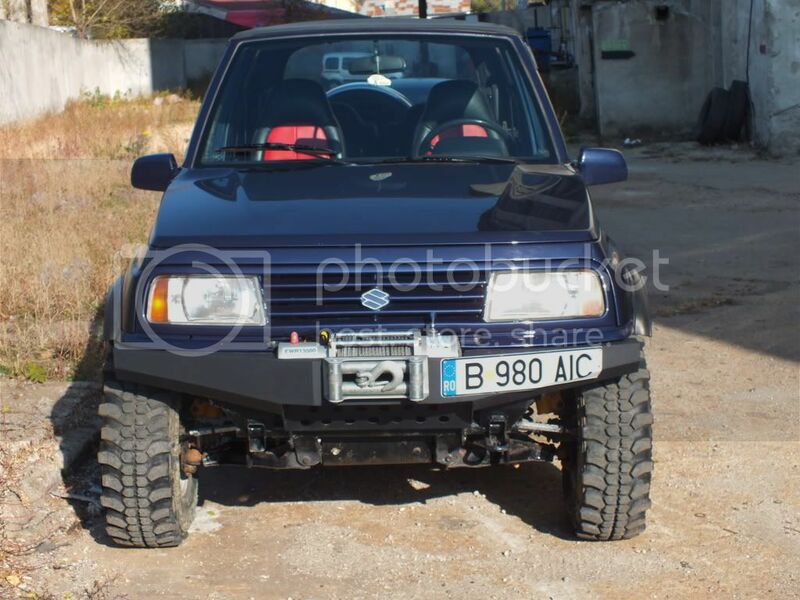 Thats a slick looking Suzuki you have even with the fender flares it looks so much better, we see a lot of foreign suzukis with humongous wheels but no wheelarches to cover the treads. I see some differences between your suzuki and our suzukies of the same age, like the rear bumper, we only had tail lights in the rear bumper from 89-92 with the carburetted and throttle body injection 8 valve Suzukies, after 1992 they were all 8valve TBI or 16v MPFI, with fog lights on the rear bumper. Sidekicks are common in Iceland also and they are almost all 16 valve from 1993-2000 and they all have different bumpers and 26 spline front axles and 5.125:1 ratio as standard. I really like your front bumper and winch assembly, is this home made or a bought kit? I would really like to see where you got the bumper or some material drawings if you made it yourself, there's little use for a winch in Iceland though unless you have an anchor to shovel down into the snow. Also how is the engine alternator coping with the juicing of the winch when used? or did you tune up the alt? And do you have any diff lockers or just welded? A standard modification to Suzukies in Iceland is 33" tires with as little body and suspension lift as possible, this is only to be able to float on top of the snow with as little carrying weight as possible. All our suzukies are registered, inspected for road safety yearly and road legal. Also soft tops in Iceland are really rare, In fact I believe I just sold one of five soft top Suzukies in Iceland late last December. nice looking zuk you got. what kind of offroading does Romania offer? rock crawling, snow, trails or competitions ?